You've worked hard the past 12 years. Obtaining a high school cap and gown shouldn't be struggle. 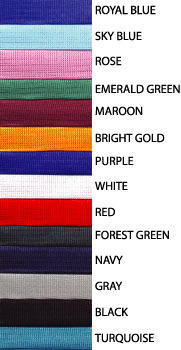 Just pick out the color of your graduation gown (the same color will be used for your academic cap) and let us know what color tassel you like. You have the choice of a single color, or a two-tone tassel. 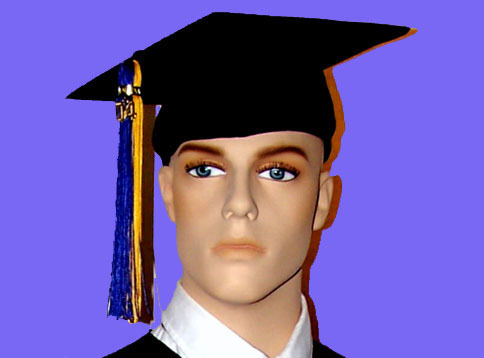 and also a matte finish high school cap and gown. The cost for the traditional (shiny) cap and gown set is $34.00 per set (cap gown and tassel). The cost for the matte finish cap and gown set is $38.00 per set (cap gown and tassel). Accessories (graduation gifts) include honor stoles and honor cords. 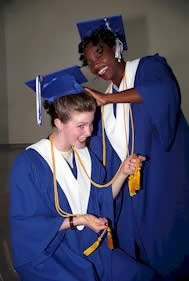 Burgundy and Navy high school cap and gowns, shown with gold honor chords and honor stoles. 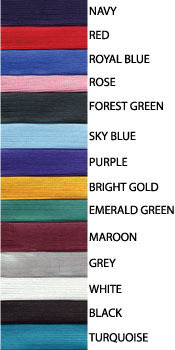 above, colors for traditional high school cap and gowns. above, colors for matte high school cap and gowns.